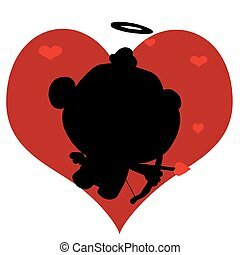 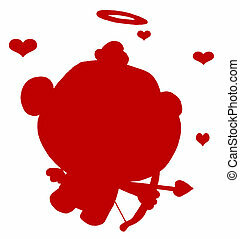 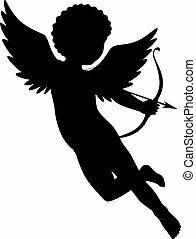 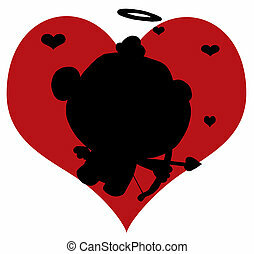 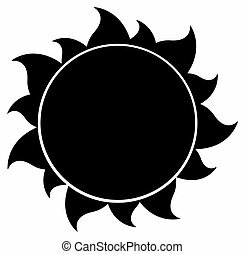 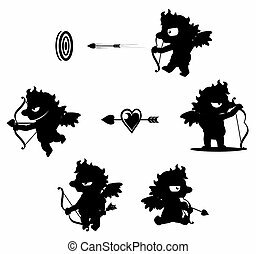 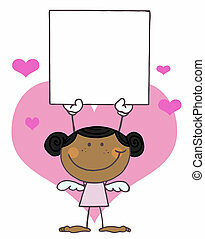 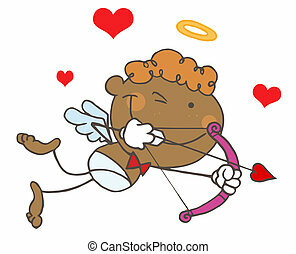 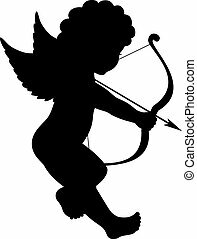 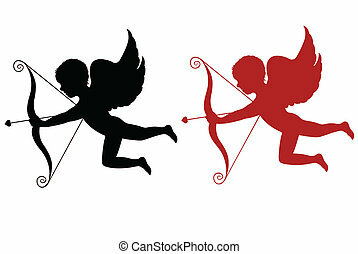 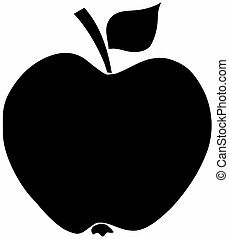 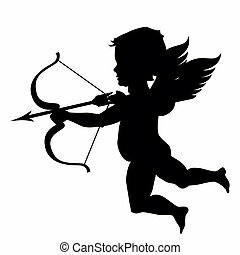 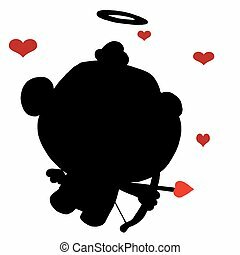 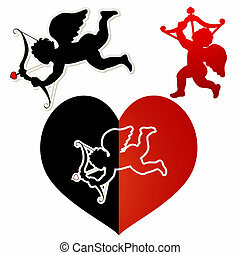 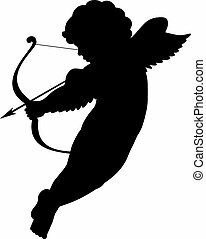 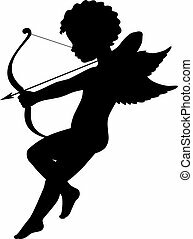 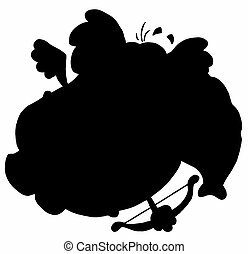 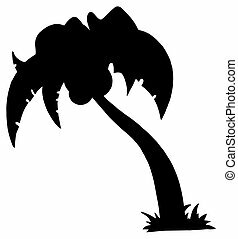 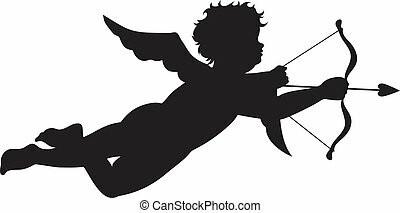 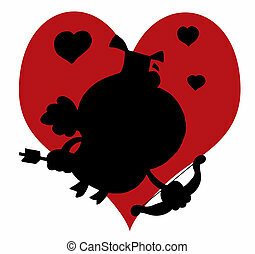 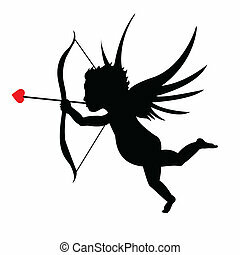 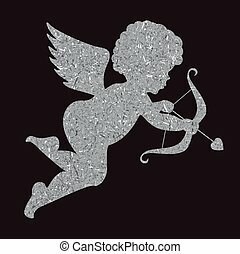 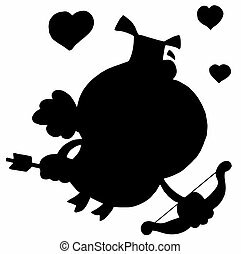 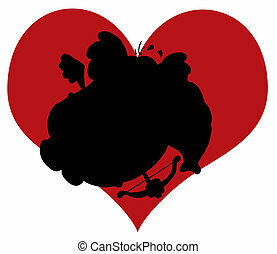 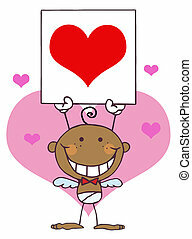 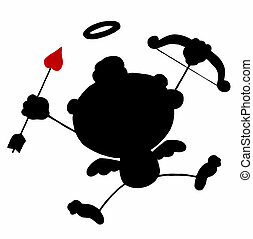 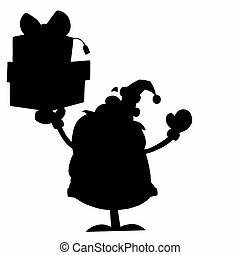 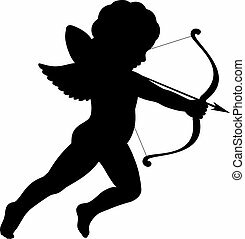 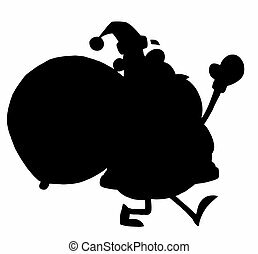 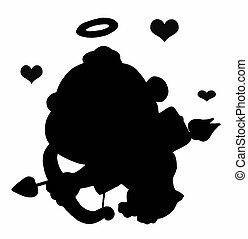 Black cupid silhouette flying with an arrow, halo and red hearts. 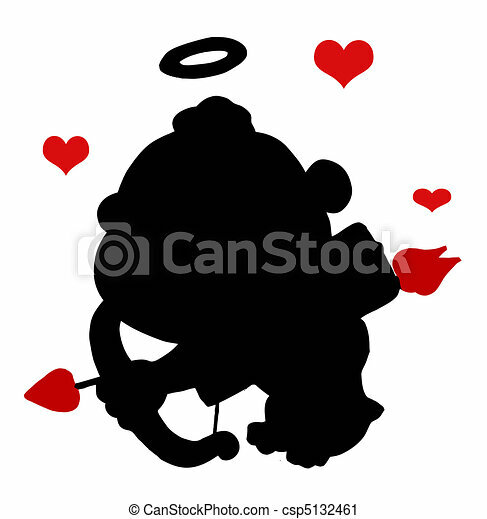 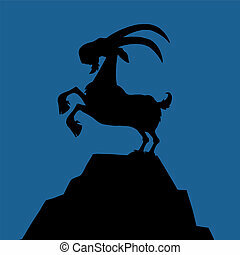 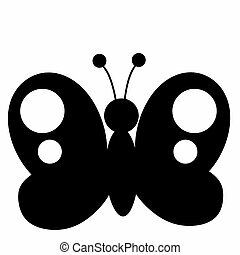 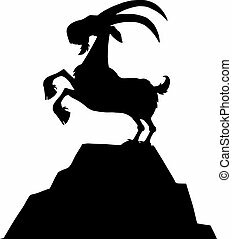 Golden angel silhouette on black background. 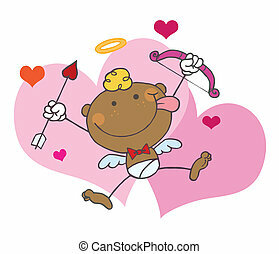 Cupid.